I paused a second, confused. Grooming is always a sensitive subject in the horse world. Waiting at the ring with Robin Rost’s grand prix mare Veerle. Interestingly enough, the other day I just had this conversation with a new friend. He reminded me that many of today’s professional riders began their careers in the barn, learning as many horsemanship skills as they could. The “stepping stones” to becoming a top professional started with grooming jobs. They tacked up, untacked, bathed, mucked, cleaned, shined brass (a daunting task, if you’ve ever had to do it before), picked paddocks, swept, fed, raked, and broke a sweat all day long. My friend also mentioned that the grooms’ classes of years past involved riding, not just presenting a horse in its proper show tack on a line. He said the grooms used to go out and jump courses that were 1.30-meter, sometimes 1.40-meter. How cool is that?! They were expected to be able to complete this successfully because they were looking to eventually become professional riders and trainers. Can you imagine something like that today? I can’t. Our show world doesn’t work that way anymore. There are fewer and fewer young professionals who want to start out at the bottom rung of the ladder grooming. But there are more and more young professionals starting their own businesses without even knowing how to properly clean a stall, let alone run a barn. Sure, there are barn jobs that exist out there that don’t have grooming directly involved. As a barn manager at Val’s, I had 10 guys for that. It wasn’t my daily job to groom or hose off horses; I was only called when there was a problem and it had to be addressed and fixed. But, I took pride in the fact that I could do their job successfully if I ever needed to. Here’s a question for you to ponder: Experience is key for my job. How do I know how to fix these problems if I’ve never dealt with them before? How do I know how to fix scratches if someone else has always fixed it for me? How do I know which topical anti-bacterial cream is better for a gaping, open wound that could start growing proud flesh if it’s not properly treated? How do I know when a head-tossing horse has a serious problem, or if he’s just pissed because his hair is stuck under the crownpiece of the bridle? I’ve had two horses with the latter problem in my life, and everyone else was convinced there was something wrong with them. 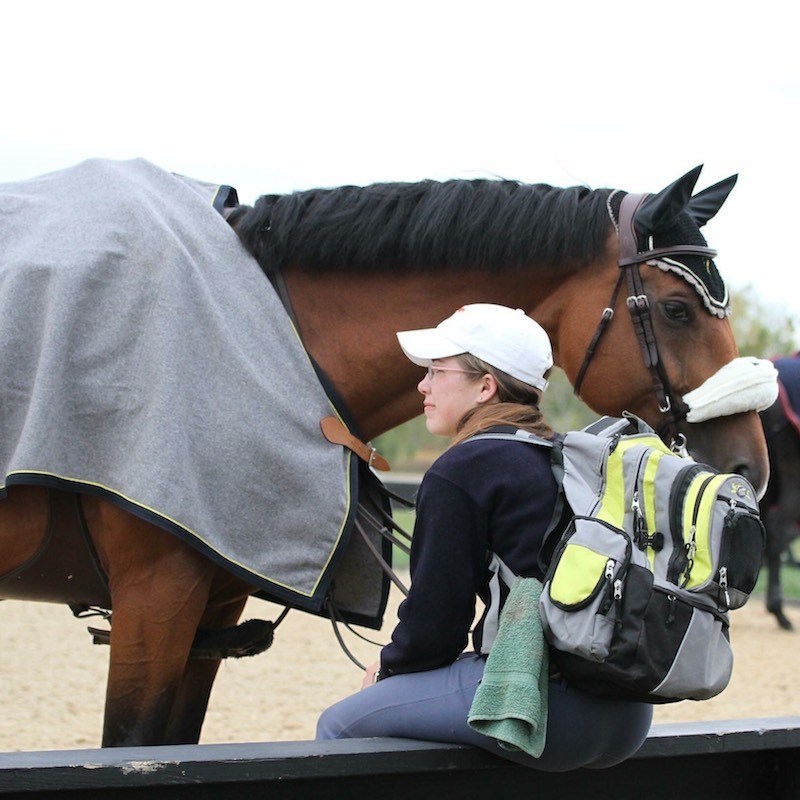 How do I gain experience if I’m not directly caring for the horses every day? I wouldn’t know these things if I’ve never groomed before, just as I wouldn’t know anything about human medicine if I didn’t intern with real doctors first. Doctors spend years gaining experience, just as veterinarians do. The everyday time spent caring for these horses has given me a strong base of knowledge and experience. When I first started working at Robin and Jim’s farm, I was a working student. I groomed every day: show horses, retired horses, young horses, FEI horses, etc. I tacked up and untacked, I turned horses out, I bathed, I clipped, dealt with bleeding scratches without calling the vet, learned the art of blanketing (which really IS an art), learned not to brush tails on a daily basis, figured out which shampoo got them the shiniest, which curry combs were the best, how to get dust off the horses and keep it off, the list goes on and on. In fact, my attention to detail was what garnered people’s respect over the years. The barn was always neat and organized, the blankets folded, the halters hung meticulously, the turnout boots tucked away instead of in a pile on the floor. Every horse got a bath once a week, and their stray manes were always braided to one side. Their coats shined, their whiskers were clipped, and there were no sweat marks to be found. I took pride in my work and the way all of my horses looked. I was so OCD that I wouldn’t leave the barn until everything was perfect at night. The guys always knew when I was pissed about something because I would start throwing blankets around, and they would chuckle. I’ve done a few grooms’ classes in my life and I spend quite a bit of time getting ready for them. The horses are always braided, shiny, and their tack is spit-shined. In 2014, I won the Grooms Class at the Sussex County Horse Show, and that was a proud moment for me. I remember the judge, Jimmy Lee, commenting on how shiny my horse was. “Like a copper penny!” he exclaimed. It’s very hard to impress a judge like Mr. Lee! I felt like all of my hard work finally paid off and I finally knew how to do this successfully. After winning the grooms’ class. If you’re looking to work your way up the ranks, you’ve gotta start somewhere, especially if you have no real horse experience to back it up. If you are avoiding college and considering turning professional, go work for someone you admire for a bit (and by a bit, I mean several years). If you’re still in college, take advantage of your spring, summer, and winter breaks and go work for someone. If you don’t like it, then you get to go back to school at the end. You’re not going to like every barn you work for and you’ll figure out what you like as you go. Learn something from every horse you take care of. Go work for someone who is old school, who still possesses the horsemanship skills that are becoming more and more extinct every day. Absorb their knowledge, take their criticism with a grain of salt, and earn their respect. Figure out why they were so successful and why they continue to be. Those who have stayed at the top of their game for years are doing something right. If there’s one thing I’ve learned in this industry, it’s that no one is ever done grooming. The reality is, if you want to own or care for horses in your life, you have to groom every day. You’re not going to find someone who knows everything who can work for you the rest of your life. If you think that way, even just for a second, it’s time for you to get a real-world job. Because that, my friends, is the farthest thing from the truth that I’ve heard. The professionals who are in the barn every day are the most successful. Hard work beats talent when talent doesn’t work hard. Remember that. Nicole Mandracchia grew up riding in New Jersey and was a working student while in school. 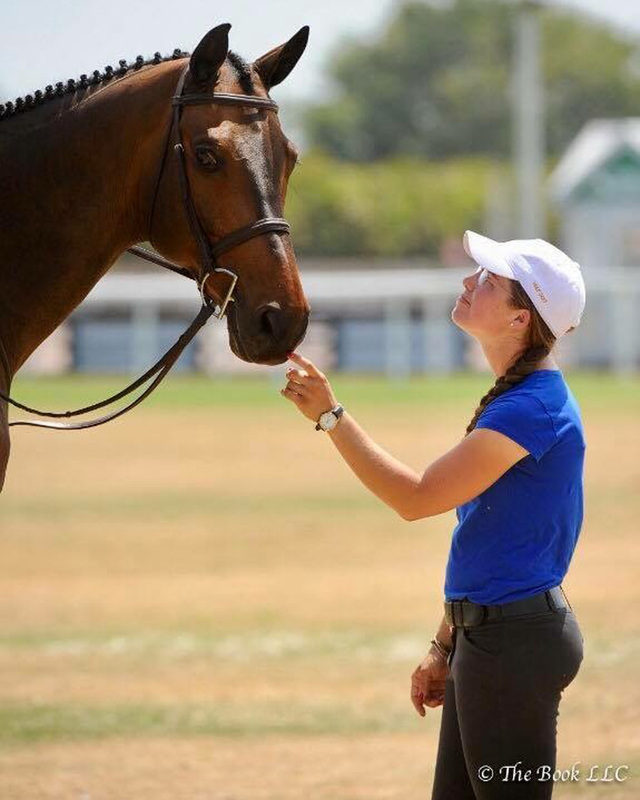 She graduated from Centenary University (N.J.) and has groomed and barn managed for top show barns Top Brass Farm (N.J.), North Run (Vt.), Findlay’s Ridge (N.Y.) and Ashmeadow (N.J.). 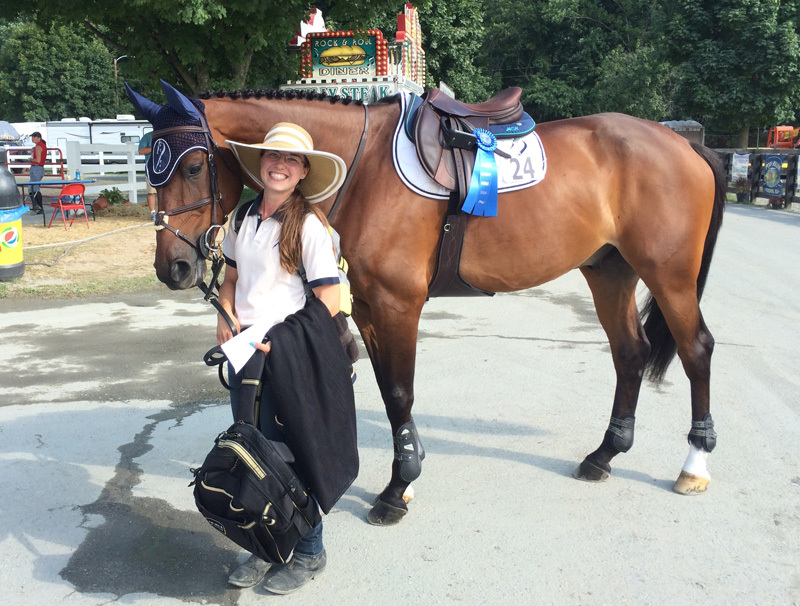 Read more about her in “Groom Spotlight: Nicole Mandricchia Proves The Harder You Work, The Luckier You Get.” After more than a decade working back in the barn, she eventually hopes to establish herself as a trainer. Read all of Nicole’s COTH blogs.